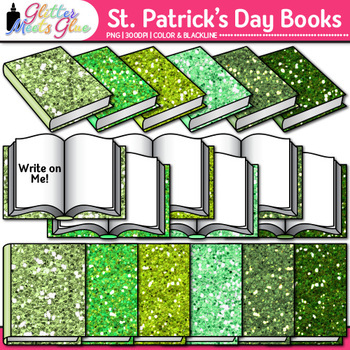 Book Clip Art: Color your Saint Patrick's Day classroom resources with this stack of green book clipart. Write your student's names on them for your behavior clip chart or classroom jobs list. Create beautiful binder covers and classroom labels for your library. Design a class schedule by writing the names of each class on a different reading book.